Yeah I haven't posted for a long time, so decided to throw in a collection update. This post is going to be quite image heavy. 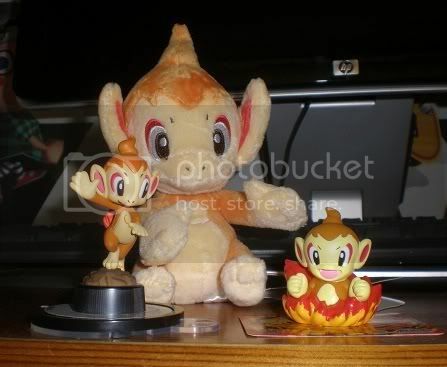 i've been buying more chimchar stuff lately, so i thought i'd share. i also have some wants so i'll list them here too. Last Payments for BOTH Stamps and Postcards GB! And a note here from my sales, which I sent out and which not! pokepalace - Marill figure, stickers, other flats Paid, Ready to be shipped SHIPPED! midnitesilven - Totodile line zukan Paid, Ready to be shipped SHIPPED! killmeneko - Totodile line zukan, Darumaka stamp Paid, Ready to be shipped SHIPPED! 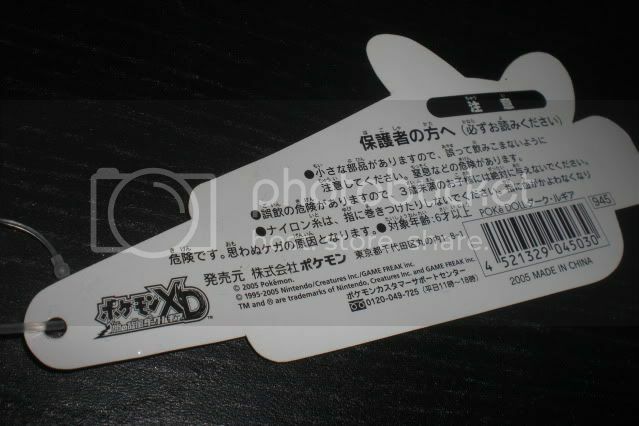 mawaru - Totodile line zukan Paid, Ready to be shipped SHIPPED! little_ledyba - Heracross, Heracross/Pinsir and Brock/Stantler, Stantler herd stickers Paid, Ready to be shipped SHIPPED! danielsard2 - Cynda line zukan, Ralts dog tag, big ball chain Paid, Ready to be shipped SHIPPED! mandyseley - Rattata/Chiko sticker Paid, Ready to be shipped SHIPPED! danmakuknight - Entei zukan Paid, Ready to be shipped SHIPPED! Also, I still have lots of flat lots and other stuff I'd like to get rid of. I even lowered some prices. Please check them here! And as always, my permanent sales post. Thanks for looking! I will be posting and PMing reminders this afternoon. There comes a time in every collector's life when they need to make sacrifices! I decided I will mostly stick with kids/zukans for figures, so lots of tomy, jakks, & misc figures need to go! There's over 50 figures and a few plush under the cut! Some posters up for offers, and batch discounts! There's a lot of things I didn't include too, check out my weebly for more wants! I also found two more cool plushes as last-minute additions to my clearance sales, so forgive me for posting again! Hello, lovely community! I'm expecting some pretty nifty stuff in the mail in the next few weeks, but until all of that gets here, I have some small but still nifty sales for you! You're totally welcome to combine anything here with stuff from my main sales post. That's also where you can find my rules and regulations and such! Check there for details, but the quick version is I ship from the US, accept Paypal, and love trades. I'll accept offers for a few days until interest dies down C: Thanks for reading! edit: Offers for Mudkip will end Thursday, March 29 at 8 PM EST! Today I want to share with all of you some of the new members of my collection. Hello everyone, I know its been awhile since i last updated this GA status, I've had a pretty lame month tbh, I'm not going to dwell on anything, but i've had to reapply for my job due to the contract i'm on, which to be honest is a kick to the face as i've done the job for 2 1/2 years, so i've had to write competencies, attend meetings blah blah, and not being funny, my livelyhood is more important. Now! There's like loads of left overs so! Due to the delays i've decided to let people claim up to 5 free items (NO more, but you don't need to claim exactly 5 or any at all) this is so some people will get to select decent items if they see this later, so they don't end up with just having the stuff nobody else wants. Remember people that have won ONLY flats, claiming things like figures will increase your shipping costs since i have to change to mailers instead of solid envelopes. Pokemon custom necklaces + earrings :)! Hello to you all.. I just wanted to show you guys an awesome lady who makes handmade necklaces, and they're really pretty! She made me these eeveelutions necklaces :3. I still have to ask her for the other eeveelutions which are Umbreon, Espeon, Leafeon, Glaceon, and Eevee :). Can I be terribly cheeky and ask for UK-based sellers to link me to their sales? Obviously delete if not allowed. Just a heads up for anyone in the UK planning on selling; or running a GA that may need to be posted after April. Postal prices are going up on April 30th; and as far as I can tell these are quite large in comparison to previous years. For example; an item under 100g (which for me is typically a Kid or two); is going up from 2.07GBP to 3.30GBP to send outside of Europe (i.e to US). Also; we will also have separate prices World Zones 1 and 2; as well as Europe and UK inland. This also means customers buying from a UK seller should expect them to be much more that they are at the moment. Want list + a Grail question! I know I haven't posted much lately, due to real life and work keeping me away from my laptop. However, anyone that I've received packages from should have gotten feedback from me by now; I'd love to get feedback in return! I promise that a recent gets/collection update post is coming up by mid-April! 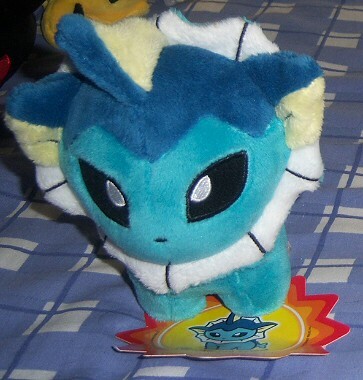 It'll be completely fantastic, featuring tons of Dex charms, my first Pokedoll ever and [at last] my first Grail get! First off, I have made a new wants list... now located in a permanent post! I'm not looking to buy at the moment, but in a week or so, that will all change! Still, I'd like to see what you have, if possible! click on the picture or here to get to the auctions & sales! This actually came yesterday but I was a wee bit busy so it isn't until now that I'm doing this. I got two things this time: a Chikorita (which I think is a bootleg since I got it on ebay from Hong Kong but it was so cheap!) and a Talking Togepi figure that I have to get new batteries that I bought from papercake to see if it works.